We have recently introduced drone inspections to our offered services. Queensland workplace health and safety regulations are tightening up and changes to these regulations make it harder for us to complete a through building inspection without bringing in the use of harness systems or scaffolding. Limited access to roofs etc can mean potential issues go unnoticed by potential buyers and business owners. We have had the opportunity to embrace technology and utilise drones in our building and Cheapest Pest inspections, providing our clients with aerial video footage of all external areas of the property. This puts our client’s minds at ease knowing there are no hidden issues. Full visual of the property, allowing us to view angles and elevations that generally can’t reached by our inspectors due to health and safety constraints. Video footage and photographs thoroughly documenting building and roofing conditions that may otherwise go unnoticed during a general building inspection e.g. Broken tiles, termite activity, water intrusion, sealant issues. Removes the need to go on roofs and areas that can potentially be unsafe for our inspectors or could lead to damage of materials e.g. slate or roofing tiles. Our drones go where the Pest Inspector can’t – Allowing us to give a fully comprehensive report of all aspects of the property inspection, inside and out. We are fully qualified and experienced in high quality RC technology. General drone inspections – We focus on targeting the more difficult to access areas of your property and provide you with visual evidence of any potential concerns such as damage to the roof, cladding issues, water leaks or any present termite activity. 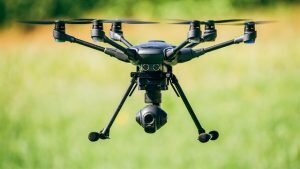 Pre-purchase building and pest inspections – includes targeted drone footage of difficult to reach areas you may be concerned, prior to purchasing a property. Aerial photography – providing high quality, aerial imagery of your property, also great if you’re selling your home or as a keepsake after purchasing your new property.